If you're a business owner who spends a lot of time on the road and finds yourself stocking up on office supplies at a good clip, the Bank of America® Business Advantage Cash Rewards Mastercard® credit card may be just what the doctor ordered. Plus, new card members will be instantly rewarded for spending within the first 90 days of card ownership and there's no annual fee. A combination of a small business credit card with the added benefit of cash rewards makes this card a great companion for business owners looking to save in the long run by earning cash back on everyday business expenses. And earning those rewards is pretty straightforward with a healthy dose of cardholder flexibility thrown in. The Bank of America® Business Advantage Cash Rewards Mastercard® credit card offers cardholders the opportunity to choose a category in which you earn 3 percent cash back. You can choose from gas stations (the default category), office supply stores, travel, TV/telecom and wireless, computer services or business consulting services. Additionally, cardholders receive 2 percent back on dining (for the first $50,000 spent in combined choice category and dining purchases each calendar year) and 1 percent on all other purchases. Even after reaching the spending cap in the 3 and 2 percent categories, you still earn rewards – they just drop to a 1 percent earn rate after you reach that cap each year. Furthermore, if you're a Business Advantage Relationship Rewards client, you will receive a bonus of up to 75 percent on the base rewards you earn for each purchase. Your bonus is based on your enrolled tier – 25 percent for Gold, 50 percent for Platinum and 75 percent for Platinum Honors. New cardholders can currently take advantage of a special promotion earning a $300 statement credit after you make $3,000 in purchases within the first 90 days of card ownership. No limit to the base cash back you can earn. Redeem your cash rewards for statement credit, a check or apply them to a Bank of America® savings or checking account. Intro 0 percent APR on purchases for the first nine billing cycles (then, 14.49% - 24.49% Variable APR on purchases). Cardholders are rewarded in categories where business owners frequently do a lot of spending and you have the ability to choose where your highest earning rate will be from among a list of six common business spending categories. An intro 0 percent APR on purchases for nine billing cycles (then, 14.49% - 24.49% Variable APR on purchases) can help business owners cover some large expenses or start-up costs without racking up interest charges. Cash rewards can be redeemed as statement credit, check or directly into a Bank of America checking or savings account. There's no annual fee, but you will pay 3 percent per transaction if you use your card while abroad. The Bank of America® Business Advantage Cash Rewards Mastercard® credit card makes earning rewards straightforward with defined cash back percentages that don't change each month. Card owners can redeem their cash rewards as statement credit, a check or apply them to a Bank of America® savings or checking account, allowing you to put that money right back into your business for future expenses. Card ownership comes with a suite of cash flow management tools to help you manage your business with options for automatic payments, transfers and the ability to download transactions into QuickBooks. Plus, you can track it all in Bank of America's MyReport Center. An optional service of overdraft protection to help prevent declined purchases, returned checks or other overdrafts by linking your credit card to a Bank of America small business checking or savings account. Fraud monitoring to block potential fraud if abnormal patterns are detected and notification of suspected fraudulent activity on your account. The option for paperless statements to help with increasing your security. If you travel overseas often, this card won't be so rewarding as there's a 3 percent foreign transaction fee on purchases. While choosing a category for your 3 percent cash back is nice, it does require you to pay attention if you're going to reap top rewards. If you are someone who would prefer a more simple approach, there are other small business cards out there for you to consider. when you make at least $3,000 in net purchases within 90 days of your account opening - with no annual fee, no cap on the amount of cash rewards you can earn and they don't expire. Capital One® Spark® Cash for Business cardholders don't have to remember which purchases earn them a higher or lower percentage because with this card they earn 2 percent back on every single purchase. Plus, there are no reward earning caps and cardholders can redeem their rewards in any amount at any time. Earn a one-time $500 cash bonus when you spend $4,500 in the first three months. While there's no annual fee the first year, be prepared to pay $95 annually after that; but if your business takes you overseas, you'll appreciate that there are no foreign transaction fees with Capital One® Spark® Cash for Business. 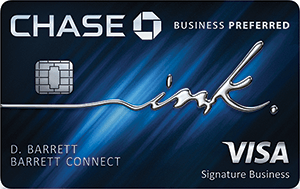 More cash back rewards, a cash bonus based on spending within the first three months and no annual fee come with the Ink Business Cash℠ Credit Card. While the Bank of America® Business Advantage Cash Rewards Mastercard® credit card highest cash back reward is at 3 percent for purchases in your choice category, Ink Business Cash℠ Credit Card cardholders can earn 5 percent cash back on the first $25,000 in combined purchases at office supply stores and on cellular phone, landline, internet and cable TV services each account anniversary year. Also earn 2 percent cash back on the first $25,000 in combined at gas stations and restaurants each account anniversary year. 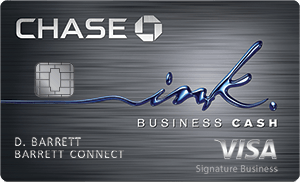 You cap out more quickly with the Ink Business Cash℠ Credit Card, which only offers these deals on the first $25,000 spent. With the Bank of America® Business Advantage Cash Rewards Mastercard® credit card, you have to spend $50,000 in your choice category and on dining before your rate of reward drops down to 1 percent. Take a look at the categories to determine which card is the better option for you. While the Bank of America® Business Advantage Cash Rewards Mastercard® credit card has no annual fee, the Capital One® QuicksilverOne® Cash Rewards Credit Card does have an annual fee of $39. Both cards offer straightforward rewards with no rotating categories, however the percentages earned in similar categories differ. While Bank of America card offers tiered reward categories, Capital One® QuicksilverOne® Cash Rewards Credit Card holders earn 1.5 percent cash back on every purchase. And unlike the Bank of America card, which caps out your top reward earnings annually in your choice category and on dining, there are no caps with the Capital One® QuicksilverOne® Cash Rewards Credit Card. This card is an easy to manage cash rewards card for small business owners. With no annual fee, ease of earning cash back rewards and no annual fee, plus added tools to help you manage your business and spending, the Bank of America® Business Advantage Cash Rewards Mastercard® credit card can help small business owners save some money while growing their business without the additional cost of annual fees.